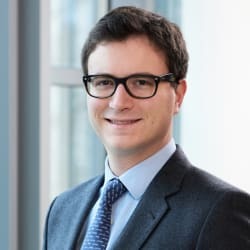 David Dauchez is an associate in Hogan Lovells’ Brussels office. He advises on all aspects of EU law, including competition law, state aid, merger control and cartels with special focus on competition issues in relation to regulated industries, energy and transport. David also gained particular expertise in EU litigation at the General Court where he worked in the cabinet of the vice president as a référendaire. In state aid, he has worked on European Commission investigations and litigation before the Court of Justice into alleged illegal state aid, including to companies in restructuring proceedings, infrastructure operators and users and companies in the manufacturing sector. State aid measures he has advised on include direct grants, equity investments, loans and guarantees.